A recipe to make chicken in a toaster oven, by renowned 4-star chef at Le Bernadin, Eric Ripert? Can you say oxymoron? But wait, there’s more. I stumbled upon this recipe in that oh-so-high-end weekly, People magazine. 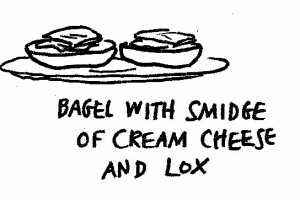 Especially since I’ve been so miserable about breakfasts, now that I’m ‘off’ my bagel and lox routine. And still not happy with oatmeal. I needed a win this week, and to my amazement, this recipe delivered. I’m not sure why I’m so surprised – it does have Eric Ripert’s name on it. Melissa Clark to the breakfast rescue? With much reluctance, I abandoned my usual bagel and lox breakfast this week (see Oatmeal vs Lox). I’ve been grumpy about it, but I stuck with it… all week. The first two days I went with cereal. 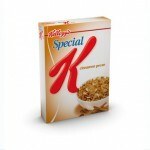 Special K Cinnamon Pecan Cereal, to be exact. Then I tried instant oatmeal but it was so boring I didn’t even finish a bowl. I know, I know – instant oatmeal’s terrible. But who wants to cook in the morning? So back I went to cereal. In my state of lox withdrawal – and general sleep depreviation – I erred today, big-time, while moving my RSS feed. Sigh. If you were subscribed to Going Lo-Co via an RSS feed/reader and now see a great big NADA where you used to get a headline or email, my apologies. Calling all oatmeal lovers: what’s your favorite way to prepare oatmeal? Ever since I admitted in my last post to ditching oatmeal and falling back into my bagel-and-lox habit, the guilt is getting to me. Actually, all of my lo-co eating habits are out of whack. Yesterday I hit Wendy’s again while driving home from the 8th HS Baseball game in 2 weeks. Of course I had no menu planned and frankly, I was too tired from shivering in the wind for 3+ hours per game to make any.